People will be studying the 2016 presidential election for years, and there are many factors that caused it to go the way it did. Yet for many young girls who are old enough to follow the news and hope for the first “girl” president but too young to understand these sorts of complexities, what they see in the outcome falls pretty flat on its face: the most qualified and prepared woman to ever run for president lost, to the most unqualified and unprepared man to ever run for president. And what they see now, in the time since Donald Trump’s election, is people hoping, either in need of comfort or in sincere belief, that the solemn responsibilities and duties of the presidency will “mature him” – although just one look at his twitter page since dispels that. They see Trump reaping the benefits of the doubt, his actions not just without accountability or repercussions but with rewards. Three weeks later, people have returned to their daily routines. However the symbolism of it all is still hanging over, just as it will for another four years. Reading parents’ accounts of their daughters’ heartbroken reactions to the election, or how they’ve tried to explain the results to them is both depressing and revealing. As many struggle to explain, or themselves comprehend, the absurdity of offering a man like Trump the “chance” at the most important job in the world, it seems less absurd. While Hillary is often considered a “singularity” in American politics, in many respects this election falls into the fairly recognizable pattern, the history of American women in public life. It highlights how long the struggle for women’s political equality has been, and still promises to be. 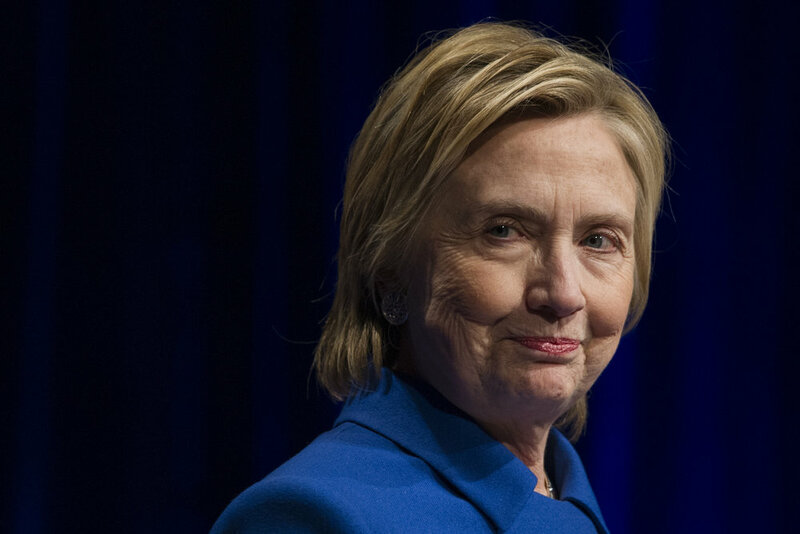 There has been much speculation about what Hillary’s campaign and defeat will mean for young girls who were watching and growing up during this time, along with the future of women in politics. For some young ones, her example and legacy will be idealized. Surveying teenage girls, as done by David Rothschild and Tobias Konitzer, offers a unique perspective showing mixed results: 22 percent said Clinton’s candidacy made them more likely to want a leadership position in their careers, and 17 percent said it made them less, with 15 percent said Trump’s candidacy made them more likely, and 27 percent said he made them less. On the whole, beyond what is just shown in this study, Clinton’s candidacy will have a positive effect on inspiring women and normalizing female leadership, just as she has during her entire career. Yet the backlash is a solemn reminder of what still lies ahead, very real and to an extent not many expected, or at least hoped it to be in 2016. Since the early 1990s, the percentage of women serving in Congress has stagnated at around 20 percent, currently at 19.4 percent. This ranks the United States 97th overall of 193 other parliamentary countries in terms of female representation, according to the Inter-Parliamentary Union. In recent years, the percentage of women serving in state legislatures across the nation has not just stagnated, but fallen in many areas. Research shows that a principle reason as to why women remain vastly underrepresented in politics is that they are far less likely to run or show political ambition than men, beginning from when they are young. This is largely based on how women perceive themselves and how they perceive the environment that they would enter if they were to decide to run. This election has made that political environment seem no less inviting, to say the least, with none of the girls interviewed planning to run for office, “each said it would be too stressful.” Trump’s comments about women have also negatively impacted how the teenage girls view themselves in general; with 42 percent saying it affected the way they view their bodies. These two phenomena, lowering women’s self-confidence and discouraging them from public activities (not just politics, but speaking up or taking any sort of lead), are intrinsically linked and always have been. The number of women serving in congress stayed constant during this election, still totaling 104. However, in good news, there was an increase in the number of women of color who were elected. In the aftermath of the election, those in search of optimism might do good to celebrate this, and think about a time not too long ago when many women even doubted they would see a female president in their lifetime - yet saw the first nominee of a major political party. As the saying goes, “You can’t be what you can’t see” - and if we are going to have a female president, she’ll have to first become a candidate. Marissa Piccolo is associate opinion editor for The Daily Campus. She can be reached via email at marissa.piccolo@uconn.edu. She tweets@marissapiccolo.